The epoch of sound rendered into physical objects has reached its nadir with the rise of the digital file. Compact discs are devalued while vinyl records and magnetic tapes have become niche products for audiophiles and widely fetishised. This archive began as a response to the increasingly transient nature of digital music consumption by returning to the very first stable recording and reproduction medium of the 1880s – the wax cylinder, in order to create and assemble a permanent collection of material sound objects. It has since developed into a more exploratory project, one that examines the potential of the wax cylinder as a recording medium by employing experimental techniques and pushing the boundaries of its recording capabilities, as well as being a joyful discovery for each contributor who re-enacts for the first time, the bygone practice of acoustically inscribing sound. 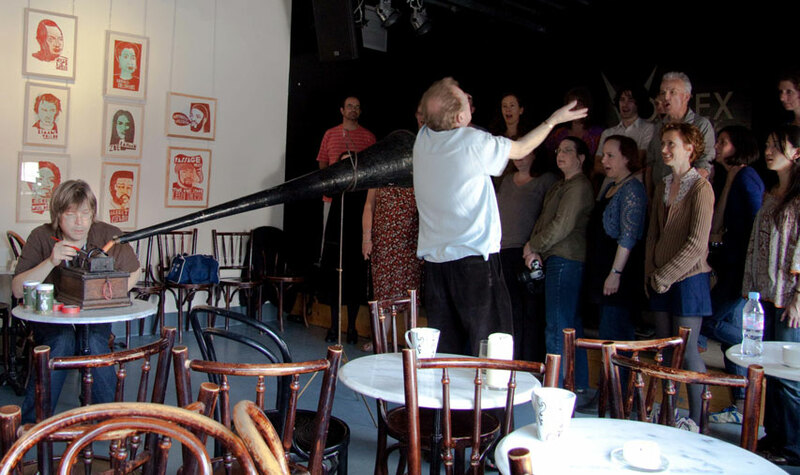 Phonographies is a vast array of improvisations, readings, compositions, electronic and experimental explorations, of differing styles, approaches and content. Many improvisers are represented here, their unrepeatable performances add to the collection’s uniqueness. The scope of this archive is broad, it is a deliberately idiosyncratic selection and a reflection of my working and associating with a wide range of artists. Nevertheless, the disparate elements have become remarkably unified through a mechanical-acoustic process that uses styli, diaphragms and horns to both record and reproduce sound. A patina of surface noise envelops every recorded sound and vies for equal attention. The result is a recorded impression rather than a virtual copy, and an impression of something seemingly produced over a century ago, such is the instantaneous transformation of these contemporary recordings into illusionary historical artefacts. The origins of this archive project began in 2002, with research into early recording techniques along with live events incorporating phonographs and live cylinder recordings. 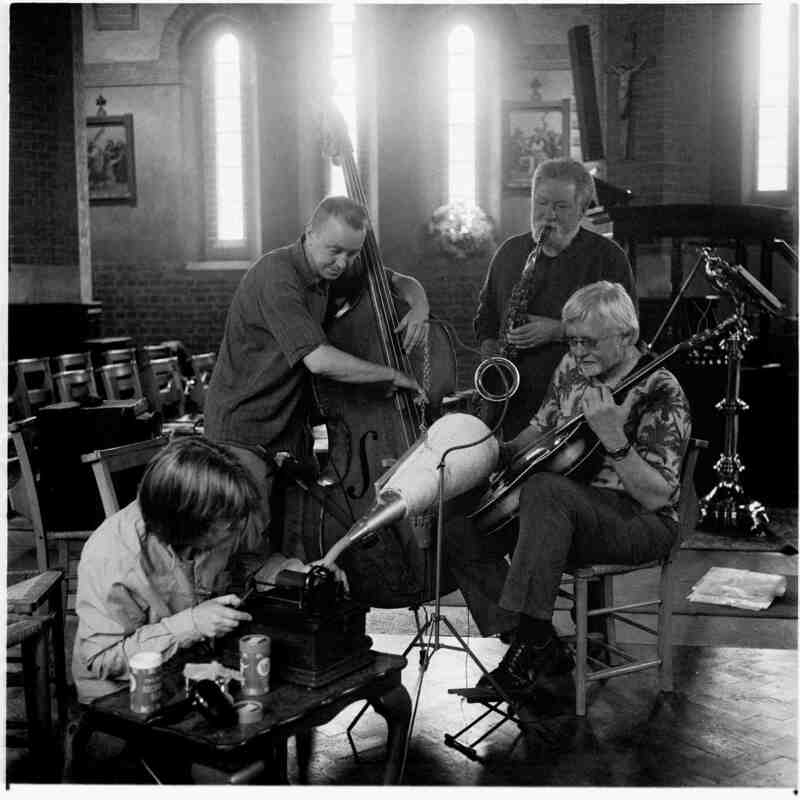 In recreating the experience of the early ‘acoustic’ studios and playing back freshly recorded cylinders together with live musical accompaniment, audiences became fascinated by what appeared to be a ‘sonic alchemy’ – as if hearing recorded music reproduced for the very first time. The fragility and faintness of these acoustic recordings is in stark contrast to the excessively amplified, hyper-realistic audio of our digital age. Rather than a virtual copy, they are a listening experience closer to faded memory. The sounds and music of the present are heard through an aural scrim of archaic technology, offering an alternative perspective in an age so heavily fixated on every progress in digital media and it’s cyberspace. With grateful thanks to Richard Whitelaw for his help in instigating this online archive; David Rogerson for the many hours of work in constructing the website; Mick Grierson together with David for their efforts in creating the iPhonograph app., and also to all the photographers for giving their kind permission to publish the various images. This archive would not be possible without the wonderful contributions from all the participating artists and whose generosity, creativity and enthusiasm I have found genuinely inspiring.